Physical therapy assistants (PTAs) are currently enjoying excellent job opportunities due to the sustained and robust growth of America’s healthcare sector. In fact, according to the Bureau of Labor Statistics (BLS), there are currently over 70,000 PTAs working in America. This number is expected to grow by at least 41 percent between 2012 and 2022. This indicates that the healthcare field will continue to provide excellent job opportunities for newly graduated and licensed PTAs alike. The candidate must have graduated from high school or possess a valid equivalency degree. Complete any state mandated tests. Most states mandate that any candidates successfully pass the National Physical Therapy Examination (NPTE) for physical therapy assistants. In addition, some states require that the candidate take and pass a state jurisprudence exam. 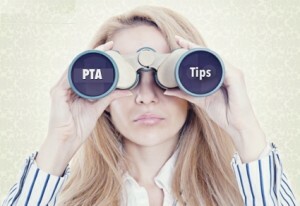 Becoming a volunteer can be an excellent option for individuals who are planning on becoming a PTA and licensed PTAs alike. By volunteering, a PTA can obtain greater experience, professional connections and gain the self-esteem that comes from aiding his or her community. In addition, volunteering can improve the PTA’s ability to obtain a job of his or her choice. Many individuals choose to volunteer at a physical therapy facility before they enter a PTA program. This can help the student gain a better understanding of what his or her responsibilities will be as a licensed PTA. In addition, many PTA programs require that any applicants have spent a varying amount of time volunteering in a physical therapy setting. Depending on the school, working as a home health assistant may or may not qualify. In addition, most schools will require that any volunteer work be verified by a qualified medical professional such as a licensed PTA or physical therapist. For this reason, it is important to verify that the volunteer work successfully meets all of the program’s requirements in advance. Students in a PTA program can amass valuable experience by volunteering at a qualified facility. In fact, many schools allow volunteers to obtain class credit for volunteer work. This is especially true when working at facilities that are currently affiliated with the school. Unlike an intern, a volunteer is not usually under the direct supervision of the school. On major advantage for a student volunteer is that most volunteer programs are extremely flexible in terms of their scheduling options. This can allow a student who is currently employed to obtain experience as a volunteer during the weekends or evenings. Newly graduated students with volunteer experience will find that their experience will improve their ability to quickly obtain a job. By volunteering, the student will start to make the personal and professional connections that he or she can use as references for a later job opening. In addition, the volunteer’s supervisors may be able to inform the student about organizations that may be looking for new PTAs. In this way, the student can take advantage of new job openings before they are announced to the general population. A number of employed PTAs continue to work as volunteers in today’s healthcare sector. In addition to the personal gratification that comes from volunteering, there are very pragmatic benefits to such an action. Fortunately, there are a wide range of avenues available to those PTAs who are seeking volunteer positions. A growing number of non-profit organizations assist various individuals who currently need physical therapy assistance. In many cases, these groups are locally based, while other groups may be part of a national organization such as the Red Cross. By working with these groups as a volunteer, the PTA can provide assistance to those members of the community who cannot afford to be treated in a conventional hospital. In addition, many religious institutions have volunteer programs for church members or the wider community. In this case, a PTA may choose to volunteer with his or her church, or simply provide assistance as a member of the community. Most of these programs will provide volunteer options and assistance regardless of the specific religious preferences of the worker or patient. Hospitals and care facilities often face a shortage of trained workers and will employee volunteers in some capacity. In this case, the PTA may be performing many of the same duties he or she carries out during regular work hours. In other cases, the organization’s regulations may mandate that volunteers may only provide certain types of services to the facility’s patients. In addition, many hospitals use volunteers to provide outpatient, in home and educational services. A volunteer may be sent to a patient’s home to provide physical therapy, either alone or with a regular hospital employee. In other cases, volunteers may be required to travel to local schools in order to present educational material to the students. Many other groups encourage volunteer assistance for their programs. Veterans organizations often make use of volunteers in order to provide a wide range of services to disabled veterans, while local community governments may have openings for volunteer PTAs as part of a community outreach program. These services often involve a wide range of duties, placing the volunteer in direct contact with his or her local community. For those individuals who are currently unemployed or who have not yet entered a career as a PTA, volunteering can be an excellent way to ensure that their resume does not have long periods of medical inactivity on it. In fact, a period spent working as a volunteer in a medical setting may be more useful in terms of impressing a potential employer than a period spent working at an unrelated career. Ultimately, working as a volunteer allows the PTA to enjoy the pleasure that comes from serving the local community. In addition, volunteers can continue to amass experience as PTAs, develop connections with other medical professionals and become a respected part of their local community. For this reason, working as a volunteer PTA can be an excellent personal and professional decision.